I slipped out of the room, near the end of a discussion on writing inspiration, straining my ears as the voice of Louis de Bernieres faded gradually. 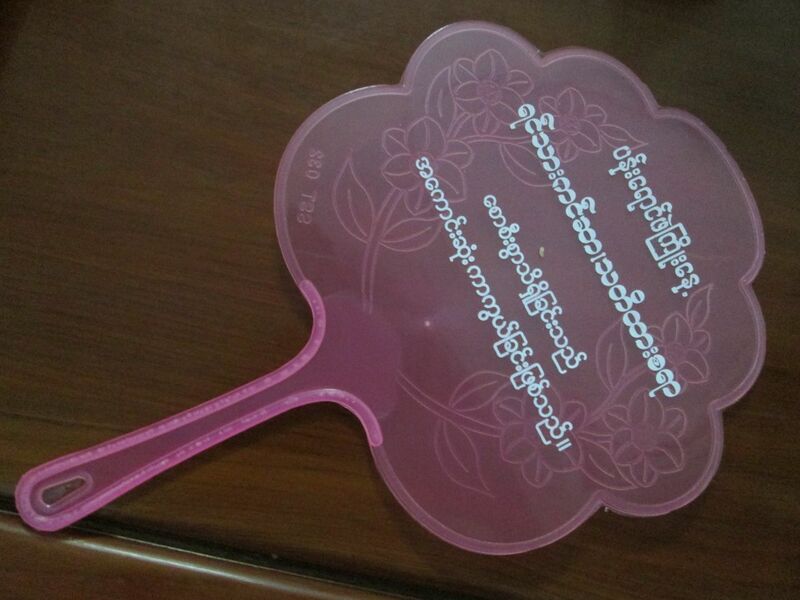 In no time I was on my way to Mandalay airport. I could scarcely breathe. My heart was fluttering and my pulse racing. And for once this was not a medical problem! On my flight to Bangkok, I found myself in a strange middle space still airborne from the inspirational weekend, yet on the brink of an intense week of work and travel. I closed my eyes, clasping the memories of the weekend, and those cherished moments, the very ones you keep safely in a little imaginary memory jar, in the mind’s eye. 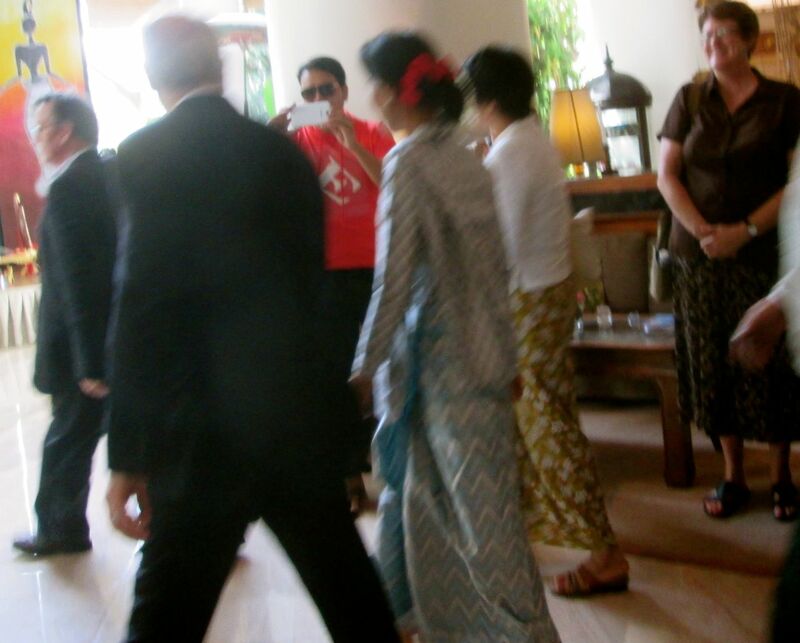 I was leaving Mandalay, where the Second Irrawaddy Literary Festival was coming to a close and I was fired with enthusiasm and inspiration strangely edged with disbelief. 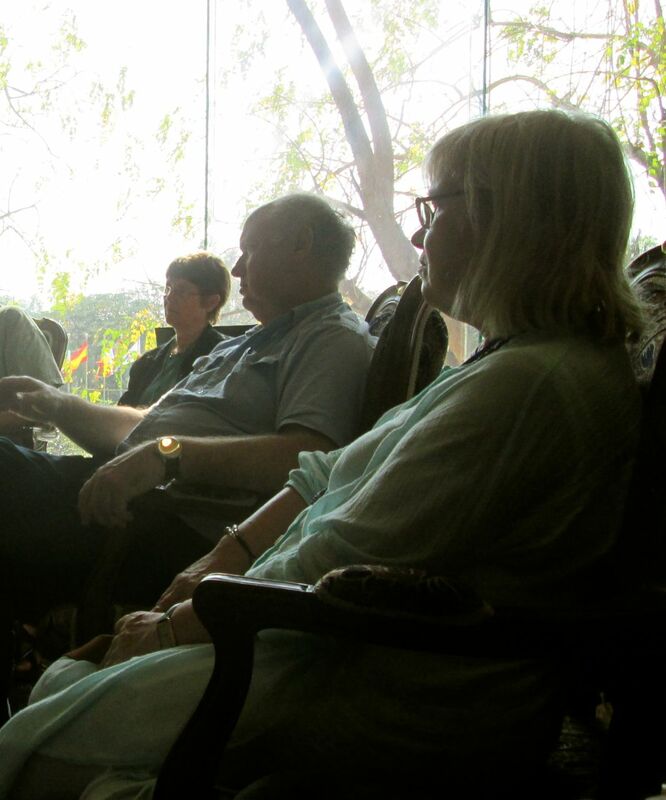 Crammed into just over two days, I had gathered many magical conversations to be treasured and precious moments to immortalise, dialogues with like minds and unexpected connections in the organised sessions as well as impromptu exchanges. 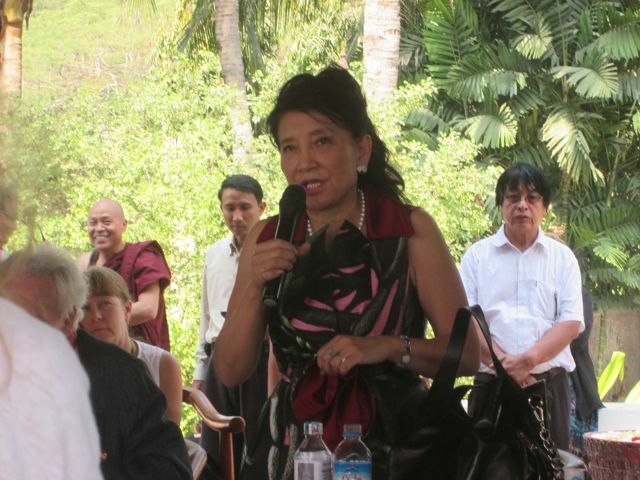 Chatting with Jung Chang, her beckoning me over to sit with her when she saw me sitting apart, her kindness and thoughtfulness warming me. 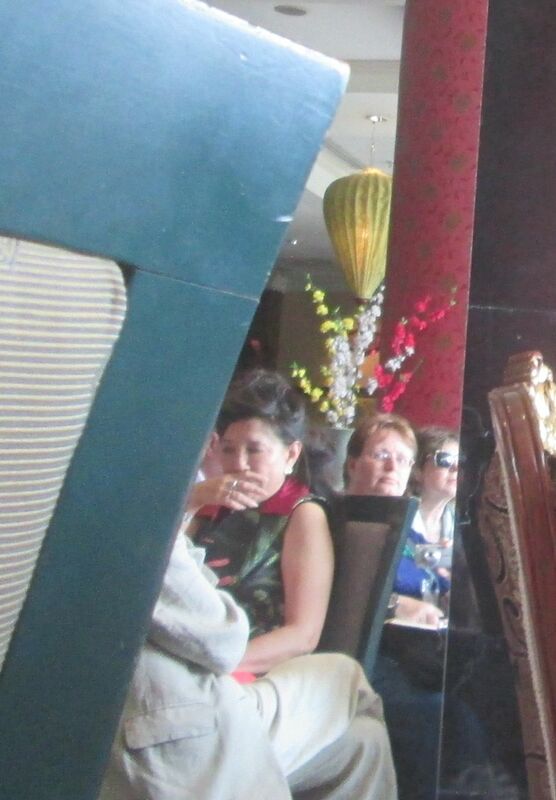 Discovering that not only am I sitting next to Jung Chang, I am also sitting very close to Louis de Bernieres! Listening to Karen Connelly read her extract from The Lizard’s Cage and compelling me to read it as soon as I can. Polly Devlin gifting me her memoir because I told her how much her session had moved me. Hearing the wisdom of great and revered writers on writing. “If you are “stuck” as Louis de Bernieres said, “just go shopping”, anything rather than sit there and look at a blank screen, or piece of paper. Keep thinking, jot down ideas and use your dreams”. Saying “Good morning” to the Lady as she swept past after her talk. 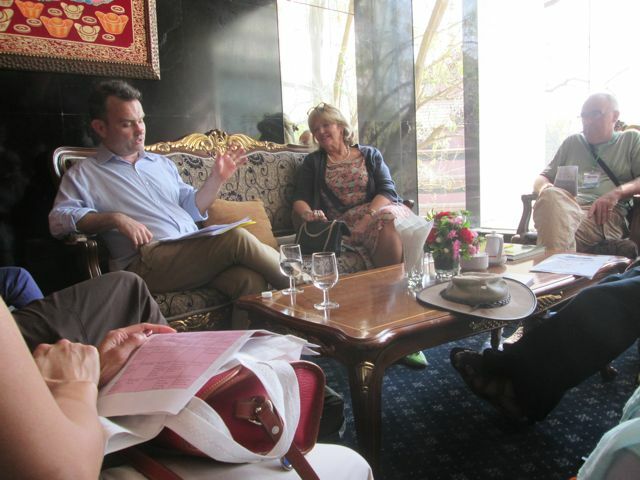 Meeting a Yangon friend and learning that he is an acclaimed Irish Poet. Pausing on the staircase to chat with Ko Ko Thett and share a love of poetry. Spending time in the passageway for a conversation with Pascal Khoo Thwe and being able to tell him that his “From the Land of Green Ghosts” is one of the few books I have read twice. Admiring the beautiful handwriting of Lous de Bernieres as he signed my copies of Captain Corelli’s Mandolin and we chatted about education in Nepal following the conflict. 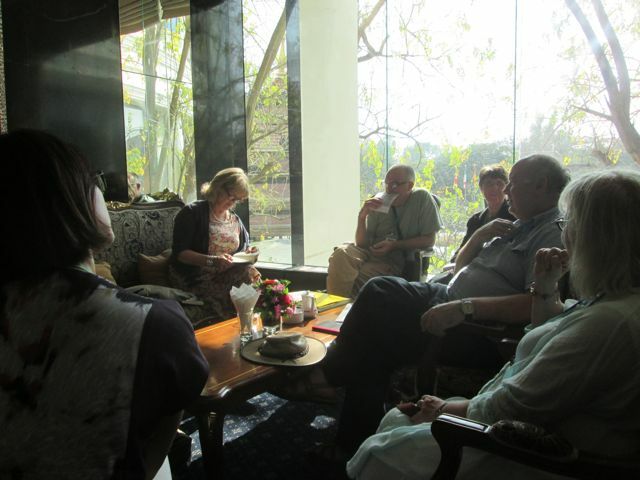 Being able to talk with Karen Connelly and sharing contact details in the hope that we can meet for coffee and writerly chat in Yangon. Similarly to my experience of the Literary Festival last year, I found the authors and speakers incredibly approachable and unassuming. I still struggle a little to believe that I was able to talk with and listen to such esteemed figures. This year the Festival had been itself the subject of some discussions and changes but I remained largely oblivious to that as I was swept along by the tide of creativity. I am now back in Yangon, my case is unpacked and a number of new books are trying to find a space to squeeze in to the bookcase. Ideas are flowing and a breeze of new energy is breathing fresh life into my writing projects. Today would have been my father’s 83rd birthday. Today is the first time in my life I have not been able to speak with him on this date. Birthdays were not a big deal really to my father, but I always made sure that wherever I was, I would phone on his birthday. He would receive random calls from many different countries as I would juggle time zones and try and find a sweet spot which was a decent time of day particularly for him. I do remember phoning one year, I think from Mongolia, and reaching his remote island home mid morning Scottish time. He seemed a little surprised to hear my voice. When I wished him “Happy Birthday”, there was a silence on the other end of the phone. A silence long enough for me to cringe at the thought of phoning on the wrong day, and long enough for him to wonder if he had forgotten his own birthday! I broke the silence. “It is today, isn’t it?” to which he replied that he thought it was the next day. I could hear him turn away from the phone as his wife had joined the conversation. Since I cannot wish him any happy returns today, I have decided that I will share the account of one of the highlights of his life, an experience of which he was most proud. This will be a slightly different way of noting his birthday. My father loved the sea. In Nepal he wondered how I coped, living so far from the ocean! It was important in his life from an early age, both professionally and personally. Throughout his working life and into retirement, he would devote any leave or spare time to volunteering as a watch officer with the Sail Training Association (now Tall Ships Youth Trust) as well as regularly crewing on a variety of schooners and yachts. I remember him returning sheepishly one year from the London Boat Show, not quite sure how to break it to that he had won a week’s cruise on the Royalist. He would have to scrape together last remaining leave of the year to take up the prize! He continued to sail as long as he could into retirement and long after it was possible to crew, he would continue to receive many yachting and marine journals. 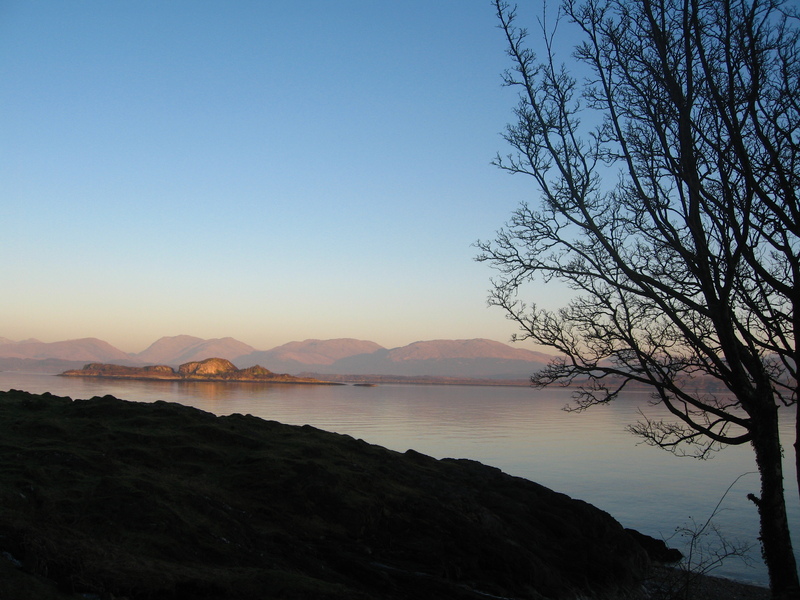 After retirement he settled on the island of Lismore, being near the sea was important to both him and his wife. In the last months of his life, when his health was very poor, he had few precious possessions with him. Those he had were mostly sailing related! There were two highly cherished possessions in particular. On the wall in his room, pride of place was given to a navigation chart and on his windowsill he kept, what looked like a small chunk of rock. 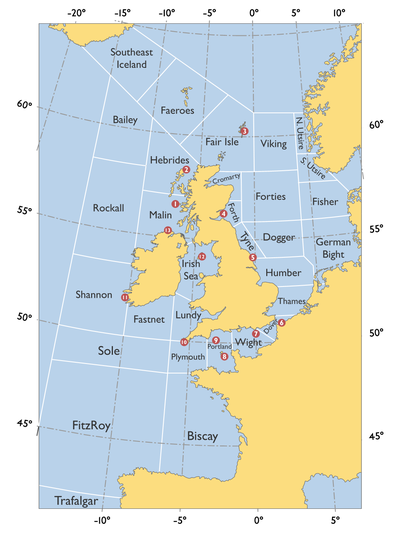 If you have ever heard the UK shipping forecast you would be familiar with the list of names, such as Forties, Cromarty, Forth, Tyne, Dogger, German Bight, Humber, Lundy, Fastnet and the distinctive Rockall. There is a very small group of people who have seen Rockall, never mind landed on the rock. My father is one of those few who landed and was incredibly proud of it. The navigational chart on his wall was of Rockall and the piece of stone was a sample taken from the rock. When my father died, the chart was among his possessions which came to us. 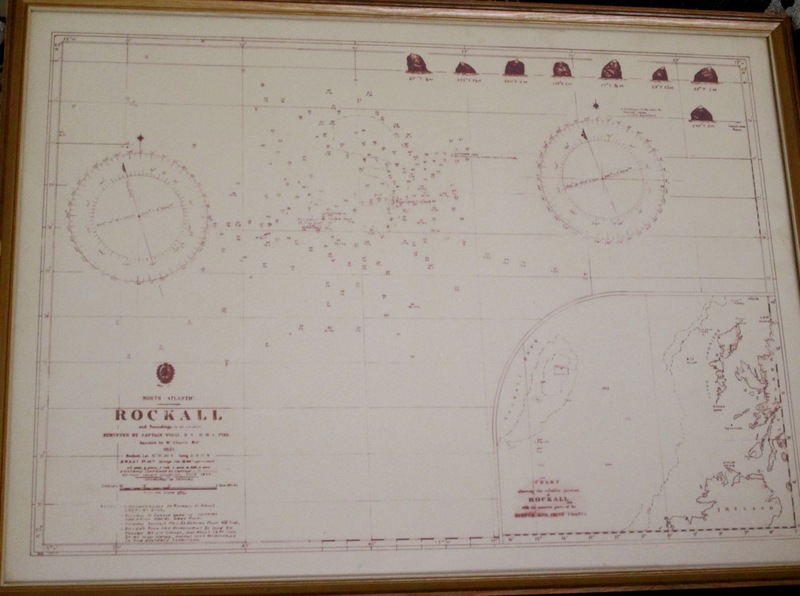 We all knew how important the Rockall voyage was to him and I was fascinated by the chart. My eye caught the text at the bottom of the chart, and I realised that there was handwriting which I recognised alongside the printed word. As I looked closely, I realised that the chart not only carefully set out the elevations, position, coordinates, sounding and fathoms pertaining to Rockall but also had a reference “existence confirmed by Capt. IR, British Yacht, M, July 1977” in my father’s very distinctive handwriting. This chart was starting to reveal the details of a fascinating story. 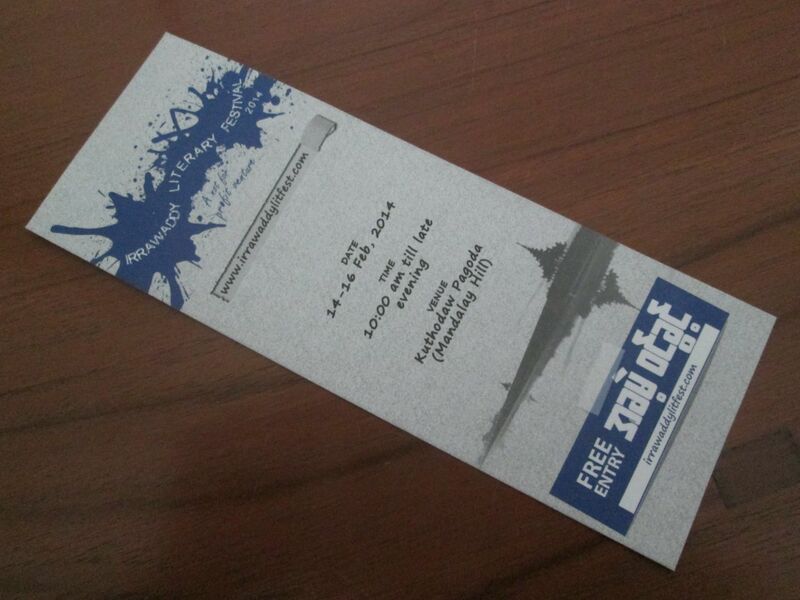 Around the same time, we received a letter of condolence from one of my father’s sailing friends. It was a comforting and insightful letter, sharing reminiscences of my father and in particular talked about the voyage to Rockall, which had made a similarly strong mark on his life too. I realised that this was none other than IR, the Captain of the yacht, who was indeed named on the chart. 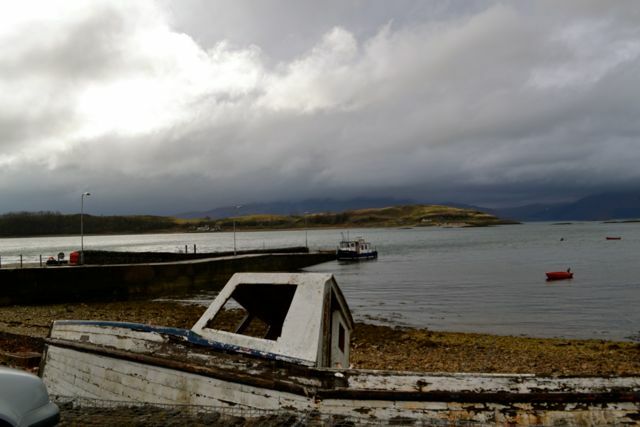 While I was in Scotland, I started to piece together the details of the story, and the voyage which meant a great deal to the crew of the yacht, as well as having a place in history. I believe today would be a fitting time to share the story of that voyage. It is a remarkable account, of four keen sailors and true adventurers who set out on a voyage to find Rockall nearly 40 years ago. I have been fortunate to have been generously provided with memories and written accounts of the voyage by the Skipper and crew, as well as drawing on my own memories from the tales my father used to tell. If there are any inaccuracies, they are entirely my own and reflect my lack of nautical understanding. I am extraordinarily thankful that the crew recorded so much detail, and I draw most of my account from that. 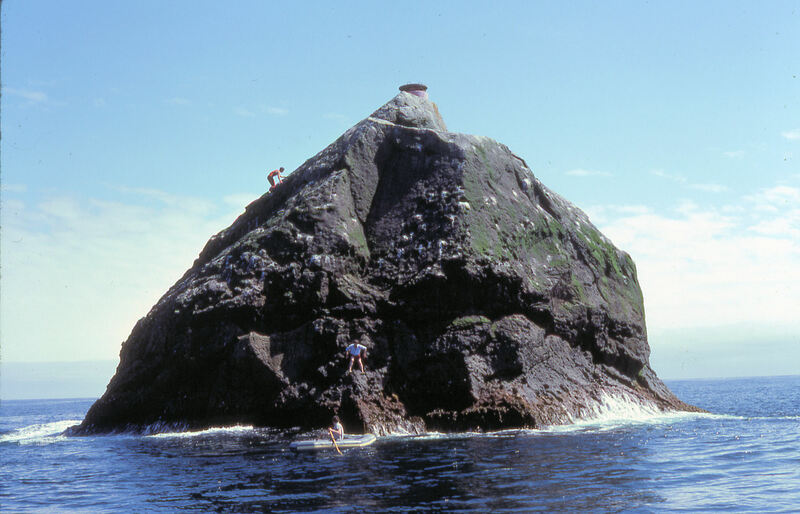 Rockall is a tiny, remote and uninhabited islet in the expanse of the North Atlantic Ocean with the coordinates 57° 36′ 20″ N 13° 41′ 32″ W. It is a single steep pinnacle of rock standing around 70 feet high, only 100 feet wide and with a circumference of a mere 250 feet It lies approximately 200 miles west of Scotland’s North Uist, 290 miles northwest of Ireland and 350 miles south south east of Iceland.. It is indeed a speck in the ocean. 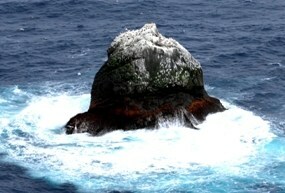 The very first landing on Rockall was made 8 September 1811 by Lt Basil Hall from HMS Endymion. The flat area near the top thereafter has been known as Hall’s Ledge. Several landings have been made from small boats by the Royal Navy since then and the Royal Navy, Greenpeace, and others have used helicopters. Prior to the Malaprop’s bid to land on Rockall, only 5 yachts had previously sailed to the islet and only 2 of those had landed. 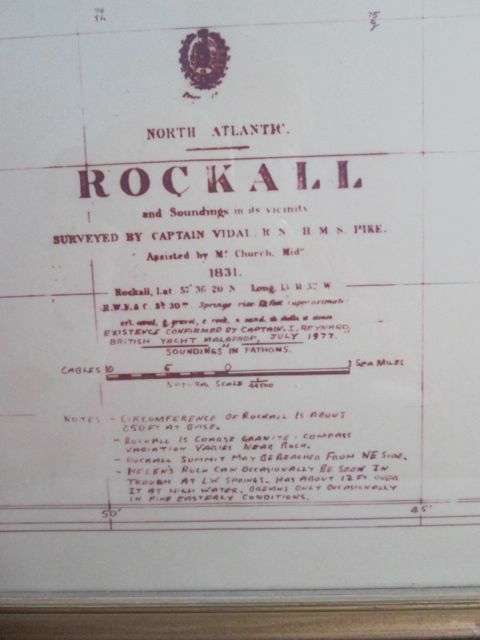 Finding Rockall would not be easy, not only on account of its size, but moreover because this was in the days before GPS and much of the navigational technology available these days. There was no radar and the Consol, a radio system used for long range navigation, which had been stationed at Bushmills, was no longer functioning. The sailors would be heading out to sea and aiming to find Rockall purely using celestial navigation. Reading the skies, the stars, the sun, charts and taking soundings and bearings would be the way they kept to course. Indeed, finding Rockall would require a combination of skilful navigation, good seamanship and luck! My father was honoured to be part of this four-man crew with combined skills and experience which included sailing, mountaineering, Arctic exploration and scuba diving. My sense is that all four shared a healthy seafaring humour too. 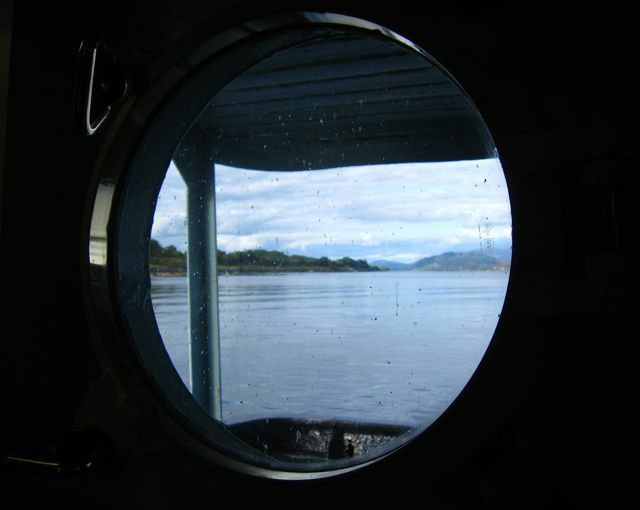 The Skipper (IR), my father and one crew member (TC) set sail from the Gareloch in Scotland. They picked up the fourth crew member (BC) from Portrush in Northern Ireland and departed from there near midnight on Sunday 3 July for Rockall, I imagine full of anticipation, determination and trepidation. One watch consisted of the Captain and one crew member and my father and the remaining crew member took the other watch. This ensured that there was one sailor with navigational skills on each watch. Especially important, as Rockall is probably only visible from around 10 miles, in good visibility. Intense navigation continued day and night, with a constant checking of successive sun, moon and star sights. “Can’t see Rockall, the mast is in the way” was the deadpan reply! Indeed, ahead of them, low on the horizon was Rockall. They had successfully navigated the expanse of ocean and found the nautical needle in the marine haystack! The tension which had been gradually mounting during the past 3 days suddenly vanished like a stale smell in a fresh breeze. Congratulations flowed freely, cameras clicked and preparations for landing were begun. The already good conditions improved and, by the time we reached Rockall, the day was perfect. The sea was flat and the sun shone. The air was full of buzzing puffins and soaring fulmars, everywhere there was life and noise. Although Rockall is, for the most part, sheer it is pitted with curious fist—sized holes in the rock and these serve as perfect handholds for the climber. They also provide sheltered roosts for the seabirds and they are, consequently, mostly filled with droppings. As the yacht approached Rockall, the crew prepared to make a landing. However, what had appeared to be a calm sea was in fact a gentle but significant 6 foot swell. This would make landing much more difficult as Rockall is sheer almost all round, and even where it is not, the slope is still very steep. It was decided that the crew member with scuba experience would attempt the first landing, using his wet suit and from the yacht’s inflatable dinghy. B landed safely, and was followed by T and my father shortly afterwards while the Skipper kept charge of the yacht. Once safely established on the rock my father began to chip off a few highly—prized pieces of the granite rock whilst B made a push for the summit. The climb to the summit required care due to the steepness of the rock and the bird droppings which make it rather slippery. At the top, B reported that “apart from the light, there was a spacious platform of rock just about big enough to take a deck chair!” There are three bronze plaques inset into the rock near the summit, each recording a different event in the recent history, such as the first helicopter landing in 1952. The crew took it in turns to climb to the summit, and my father lobbed the precious rock samples into the dinghy before they all rejoined the yacht. I can imagine the euphoria. Once aboard again, they circumnavigated a nautical lap of honour around the rock, and the Skipper produced a bottle of vintage champagne for all to toast their incredible achievement. I am sure there would have been some reluctance to turn homewards and indeed by 3 pm Rockall was no longer visible below the horizon, though the image large and alive in the minds of each of the crew. From all accounts the return was much more relaxed, as the Captain noted “Ireland is somewhat easier to find than Rockall!” I can just imagine the atmosphere of achievement, pride and an enormous release of pressure. The return sail was accompanied by a large school of highly disinterested whales, apparently migrating northwards as well some friendly dolphins which swam alongside for some time, carrying out a close inspection and the sudden appearance overhead of an RAF Nimrod aircraft which flew over them several times at low altitude, also apparently checking them over, possibly wondering where on earth these guys had been! 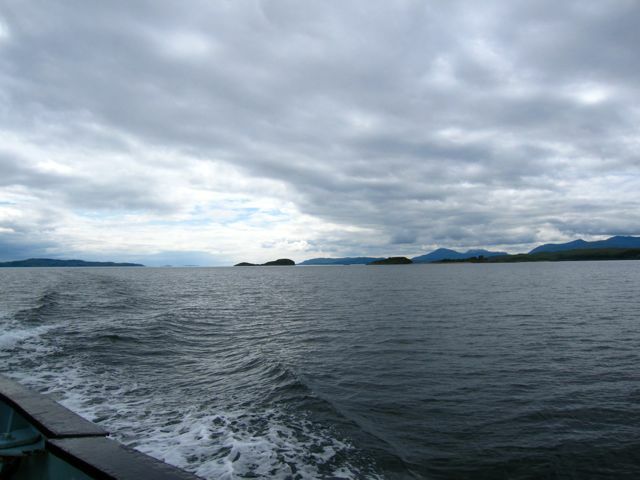 The seas remained calm, the skies grey as a helpful north westerly wind arose to send them gently home. Whenever my father spoke of Rockall, there was a twinkle in his eye and a spark of what could be considered mild mischief. 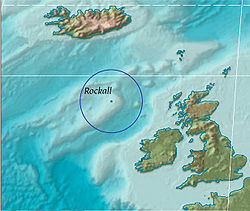 The chart of Rockall was on his wall, within his sight until he died. I discovered that he did indeed prepare the chart himself. Apparently there was no current large scale chart of that location to be found, and the Skipper managed to borrow an old chart, but was not able to take it to sea. My father ensured that there was a copy of the chart available for the voyage. He was a perfectionist, and would probably have spent hours at his huge draughtsman desk carefully tracing and annotating each tiny detail, critical to a voyage which would rely on celestial navigation. The crew shared that challenge and test which the voyage brought, and are justifiably proud of their successful sail without the benefits of modern technology. My father would quite probably have been horrified to hear that a 2012 landing saw the first Tweet and Facebook update sent from Rockall! In his final weeks, there were two things in particular that were especially important to my father. He was anxious that we remembered that he was to be laid at rest alongside his wife on their island home. And he wanted to know where his piece of Rockall was! Indeed he is at rest beside his soulmate on the island they both loved so much. And that precious fragment chipped from Rockall’s granite surface, one of his most cherished possessions, was thoughtfully placed with him for that final journey. World Cancer Day – debunk those myths! These” World Days” more often than not, catch me by surprise. Surely it is only a few weeks ago since it was World Cancer Day? Apparently not. Today, Februay 4 is indeed World Cancer Day. World Cancer Day 2014 (4 February 2014) will build on the success of last year’s campaign, by again focusing on Target 5 of the World Cancer Declaration: Reduce stigma and dispel myths about cancer, under the tagline “Debunk the myths”. If we are going to focus on myths around cancer I am not sure where I would start. So I am opting for quick and easy. And consistent. 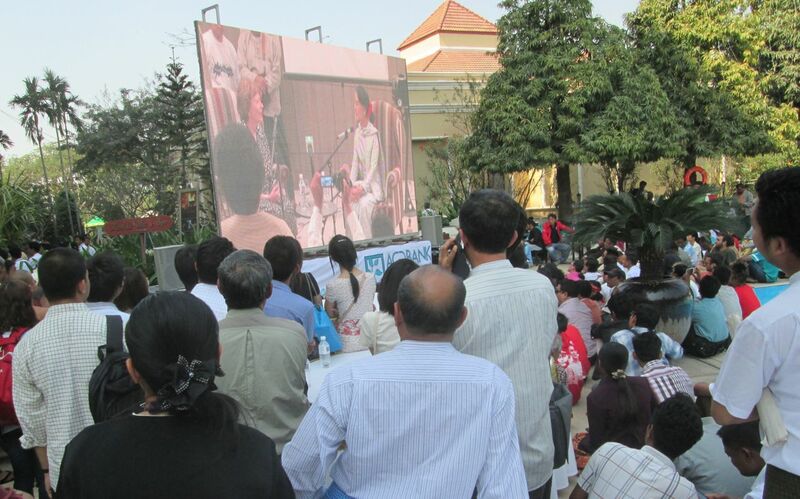 Living in this part of the world it is critical to be able to share accurate information. Beliefs and traditions are deeply held and must be respected while attempting to debunk myths surround cancer. I have a particular perspective on breast cancer, awareness and equity from my place on the planet. I see and hear, and try to understand, the significant different levels of awareness and the very different concerns which people have in my part of the world. I struggle with the fact that I had access to excellent care and treatment and a reasonable level of understanding of breast cancer yet a woman I might sit next to in the course of my life and work here has a very different level of awareness, considerable traditional taboos and for whom access to care and treatment is not easy. The discussions in the wider blogosphere are relevant and critical. But they often do not have relevance from where I am standing……..
My plea on this World Cancer Day, is that we take a step back and reflect on those inequities, and acknowledge the very different places we all stand. Those myths vary according to where we are and there are many unspoken, little-known myths which we must first understand. It’s a funny thing the internet. For most of us, life without internet is unimaginable now. It can separate us, with couples and families focused on screens and devices and not seeing each other. It can also bring us together as is evident by the strong online community such as our breast cancer social media community. And it can bring learning and knowledge into our lives which we might well otherwise have never known. Such a thing happened this morning. While skimming news and updates on Facebook I saw a status update and snippet which instantly resonated. This was a simple picture, of a delicate bowl with veins of gold through it along with a word and its definition. The word was completely new to me – kintsukorai. It’s definition was incredibly powerful. 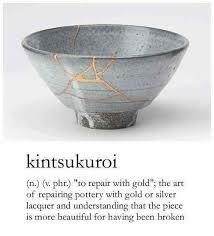 It is the art of repairing broken pottery with gold, so that the item becomes more beautiful through having been broken. This is popularly attributed to a fable which is told here. It does not take a great leap of thought to apply this to ourselves. As we live through experiences which challenge and threaten to destroy us, how are we when we emerge? In particular, this resonated with me in its relation to a cancer diagnosis. The instant that the bowl drops and smashes, is just like that moment when you hear those unforgettable words and learn that you have cancer. Everything which is precious and sure, suddenly shatters and it feels impossible that it could ever be mended. The hideous different types of treatment continue to break the bowl into smaller fragments. But as we struggle physically, there is a gold thread which emerges with gradual repair. I have constant reminders of the damage inflicted on my body from the immediate treatments and from continued medication. I have to be frank. I feel aggrieved by that which has been damaged or stolen by cancer. Constrained mobility thanks to joint pain, weight gain despite regular exercise, reduced energy, lungs which have been damaged by the embolism, and blood levels which require regular monitoring to ensure that I am in a “safe zone” which is neither to likely to clot nor too likely to haemorrhage. There is pain and physical deformation from surgery and treatment. The broken pieces are many. Yet there is a less tangible element. This gold thread is one of resilience, inner determination, the will and need to focus on that which is important. The idea of kintsukuroi and that through damage, an entity of greater beauty than the original is crafted. From my own experience and perspective, the gold thread is less tangible or visible but I do not need to look far to know it is there. I feel it in the resilience I have built. Most of all, I feel it in the way I try and live in a way which I would call “intentional”. Taking control of what I can, what is in my hands and ensuring balance and living deliberately. Trying to accept the cracks of damage, and constraints which impact on daily life. I have to look to see the gold thread and it is clear to me that my post diagnosis self is somewhat stronger and more purposeful. 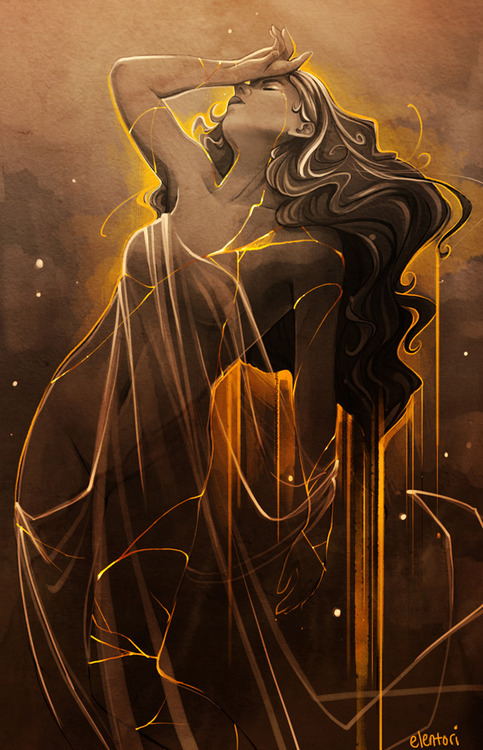 The gold thread holds me together and moreover inspires me, no matter what the future holds. The reality is that after cancer enters your life, you can never return to the way you were just as the pieces of a broken bowl can not be put exactly together without evident scars. If the damage is less perhaps a repair is less visible. This inspires us to acknowledge and even perhaps appreciate our scars and try not to hide the signs of how our minds and bodies have been ravaged.